The new ad-blocking feature is currently under beta testing and can be directly enabled from the Microsoft Edge app’s settings. Microsoft’s Edge browser for Android and iOS could soon come with a built-in ad-blocker. The company is beta testing the integration of Adblock Plus directly into the browser with the latest version of the app on both Android and iOS. First spotted by The Verge, the new option for blocking ads is not an extension that needs to be downloaded separately and so a beta tester can enable it from the app’s Settings. The new feature is soon expected to roll out more broadly for all users. 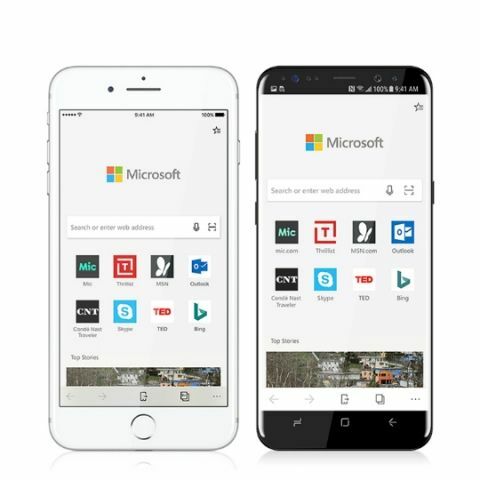 As per The Verge, Microsoft has partnered with Adblock Plus for integrating the functionality directly into its Edge browser for mobile devices. The new feature is definitely a welcomed addition, but Microsoft is quite late to the party. Google rolled out an ab-blocking feature on its Chrome for Android back in February this year, although it’s not as aggressive as Adblock Plus. Firefox on Android blocks ads, but only when the user is browsing in-private tab session. However, there’s the Firefox Focus browser, which not only blocks ads by default but also clears history, cookies and cached data whenever the user exits the browser. There’s also the Firefox Nightly browser for those who can live with a slightly unstable app, but want the functionality of add-ons. Coming back to Microsoft Edge, the browser was recently updated with some features that enable parents to have better insight and control over what their children are surfing on the web. Parents can now define websites they want to allow or block for their children in the family group settings and when a blocked site is accessed, a message displaying request permission from an adult is shown on the children’s smartphones. You can read more about the feature here. Why Microsoft launched \'SNIPP3T\' News app for IOS why not for Windows phone ? Will phones other than nexus and moto receive android 4.4.4 update?